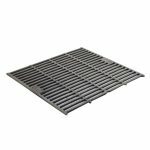 There are many types of grills and heating technologies, but perhaps one of the most advanced and mysterious is the infrared grill. Unlike other grills that use a more common heat source, like gas or charcoal, these grills use infrared rays to cook meat and veggies. This technology was originally developed for the auto industry to help dry car paint faster, and it was first used for grilling in the 1960s. While this technology has been around for several decades, it has only recently become popular since the patent expired and now every grill manufacturer can use infrared heating. Is this all smoke and mirrors, or is infrared the way to go? If there’s only one thing that you understand about infrared grills, then it should be this: these grills are hot. Most grills can reach temperatures around 600 to 700 degrees with some coaxing, but an infrared grill easily reaches temperatures above 1,000 degrees. Not only that, but the heating is very direct. Many grill masters are going to find that calibrating and seasoning their grills and smokers is one of the most complicated parts of the job. 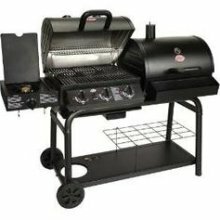 It is often the most minor issues with grills and smokers that will make all the difference between a ruined meal and one that everyone will not stop talking about. For those that are ready to take their grilling and smoking to the next level, here are a few tips for perfectly seasoning and calibrating outdoor cooking devices. Before ever placing a single piece of meat in a smoker or grill, it is important to take a few steps to improving the cooking and remove any chance of health issues. These devices are often going to be filled with dust, grim, oils, coating materials, and cardboard due to the manufacturing and shipping. The first step is to wipe down the inside and outside with water and non-toxic soap and then let it dry before carrying out the first dry run. Grease and oil residue can make a grill disgusting, particularly when the weather’s hot. Also, it makes your food taste “funky”. The grease along the bottom of the grate can evaporate and also affect the food’s flavor – not to mention the rancid black crust made of carbon that’s similar to burnt toast.